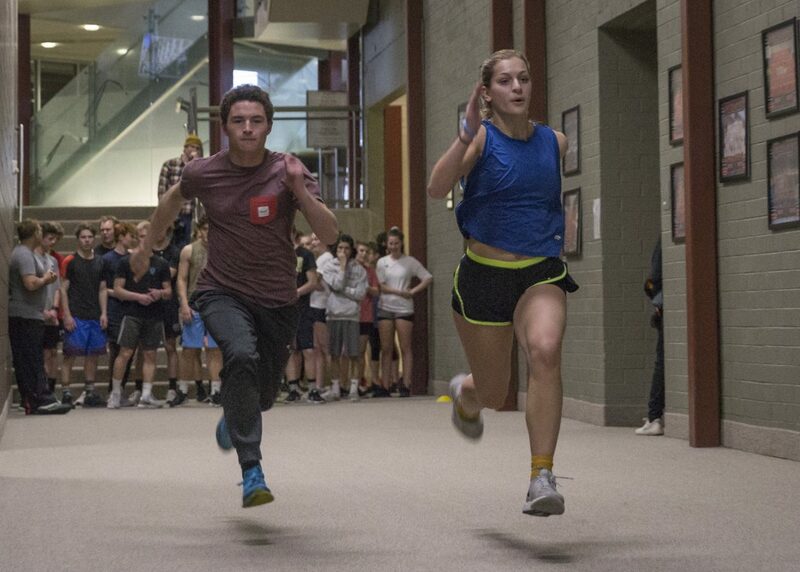 Park City High School junior Paul Baynes, left, and senior Skylar Jackenthal practice sprints in the hallways at Park City High school earlier this month. Baynes took second in the 400 meter dash at the Pine View Invitational on Friday and Saturday, where close to 30 teams competed. 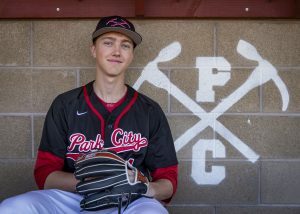 The Park City High School track team got its first true test of the season on Friday and Saturday at the Pine View Invitational in St. George. 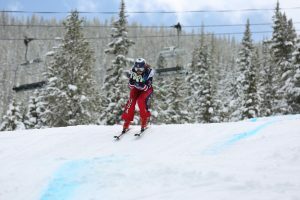 The team had mixed results against the nearly 30-team field, finishing 11th overall with 23 points. But in particular the meet showed a mixed view of how the Miners stacked up against southern Utah powerhouses like Desert Hills and Cedar, which took first (194) and fifth (69) respectively. “Good and bad, that’s all I can say,” said coach Dave Yocum on his team’s performance. Yocum regarded junior sprinter Paul Baynes’ performance as a highlight from the competition. He took second in the 400 meter (51.53), finishing just behind Colin Christensen of Timpanogos (51.32). “(Baynes) basically got caught in the last 40 meters,” Yocum said. The junior also helped the 4×100 team, which includes Ethan and Seth Warner and Kai Vlaun, which finished fourth (44.91), with Timpanogos leading (44.07). Baynes also was part of the 4×400, along with Seth Warner, Caleb Barnhart and Will Henry, which took fourth (3:32.50). Desert Hills took first with a time of 3:30.85. In another bright spot for the Miners, the girls 4×400 team (Maude Crossland, Grace Dalton, Chloe Shewell and Coral Crossland) took third and qualified for state, meaning it and the 4×100 team have both secured places in the post season after success at a smaller meet at Mountain View the week before. Cedar took first (4:04.98), followed by Desert Hills (4:05.76). The girls 4×100 team, composed of Haley Maki, Katie Brotherson, Coral Crossland and Grace Dalton, took fourth overall with a time of 52.20. Desert Hills took first (50.49), Orem took second (51.14) and Box Elder took third (51.26). Katie Brotherson also scored for the team as an individual, taking fifth in the 300 hurdles (48.82), as did Shewell, who finished seventh in the 800 (2:25.78). Yocum said the meet underscored how little the team had been able to practice outside this season. The team has mostly been relegated to the high school’s gym and hallways, with snow covering parts of the outdoor track, and most of the areas the Miners use to practice for field events. The team will have some work to do if it intends to catch up with leaders like Cedar and Desert Hills. Results from the Pine View Invitational are listed in the Scoreboard section starting on B4.